Challenge yourself to do something tough or wacky to make a difference, have fun and tick off a new accomplishment. Vinnies supporters have made a difference by taking on all sorts of fun challenges. Steph from Lovesweats Yoga hosts yoga sessions and events, Stu cut off all his hair, Chris ran his first marathon and Enda and Jerard walked the Camino in France. They all raised incredible awareness and funds to help people doing it tough. What kind of challenge should I do? Try quitting sugar, alcohol, smoking, caffeine or junk-food for a month. Impress your friends when you achieve your goal and inspire them to launch their own challenge. 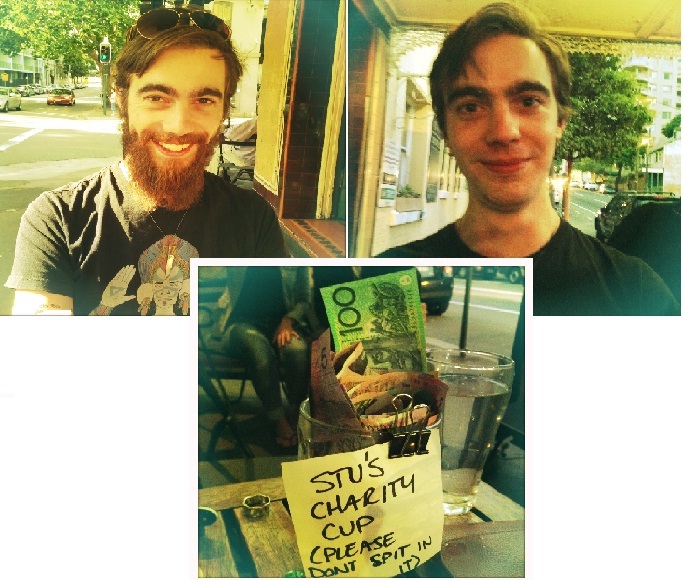 Getting rid of your hair is a bold way to raise awareness and funds. Your friends will cheer you on as you shave your head, chop off your ponytail or wax your chest or legs. Wear fancy dress to the gym or grocery store for a month, talk in rhyme for a week or paint portraits of all your friends’ pets. Get creative and dream up something quirky and fun. How do I start my challenge? It's simple: choose your challenge, register, launch your fundraising page and ask friends to sponsor your efforts. Check out our Community Fundraising Toolkit here for everything you need to know. Ready to get started? Complete our Fundraising Application Form here. Contact our Community Fundraising Coordinator at 02 9568 0211 or events@vinnies.org.au for questions and to get started.